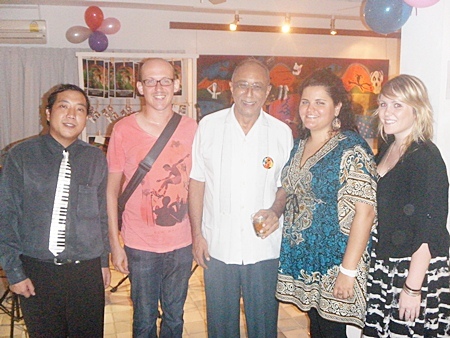 Author and PEN award winner Mo Tejani (center) celebrated his 60th birthday at Sangdee Gallery on Sirimangkalajarn Soi 5, Friday June 24 with friends and loved ones. 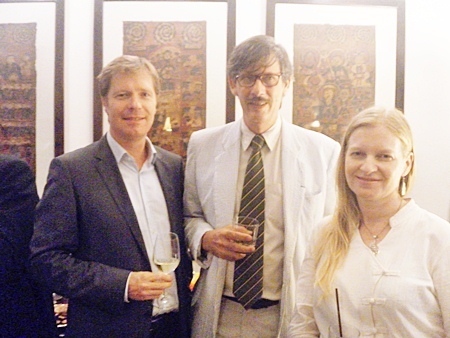 French Honorary Consul Thomas Baude, center, was joined by members of the German and French Chamber of Commerce at a Chiang Mai Creative City cocktail party at the Tamarind Village on Friday, June 24, 2011. He is joined by Annette Kunigagon and Francois Shefman, a member of the Chamber. 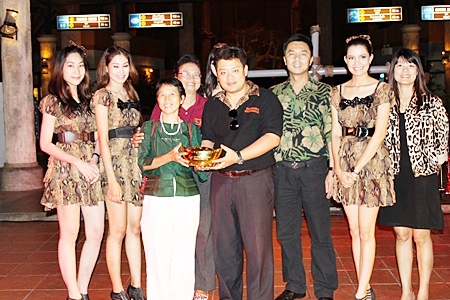 Dr Sarawut Srisakun, 3rd left, CEO of Chiang Mai Night Safari, presented one lucky winner with a 2 salung gold necklace to celebrate the 5th anniversary of the Night Safari. A lucky draw will take place at the Nigh Safari every Friday and Saturday throughout the year to celebrate the anniversary. 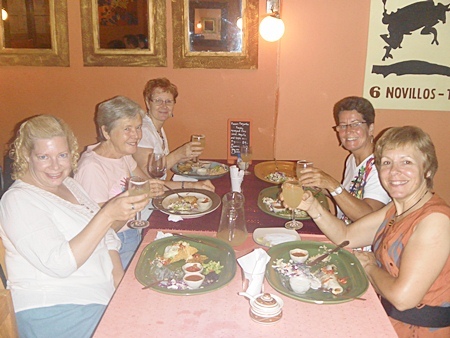 Tracy Williams (first left) organized a going away Ladies Night Out at Salsa Kitchen on Huay Kaew Road for Micaëla Hobbs of Crouching Tiger Cycling Tours (first right) before her journey back to the U.K. where the ladies enjoyed pitchers of margaritas with their Mexican food. 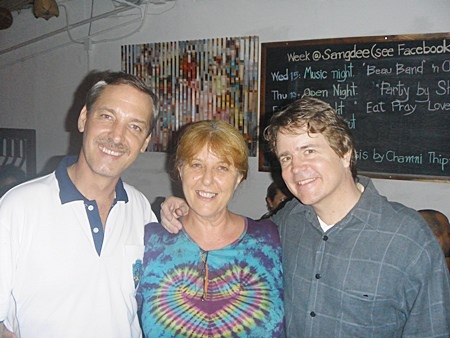 Scott Taylor of Soho Bar (left) joined Jon (right) in bidding farewell to Sharon at a farewell party at Sangdee Gallery on Thursday, June 16, 2011. 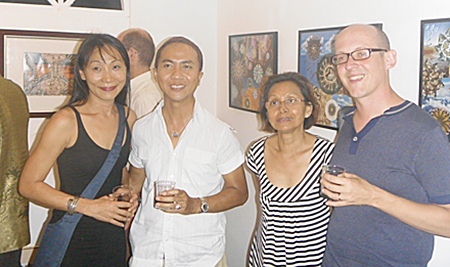 The opening exhibition at MuMu Art House on Nimmanhaemin Soi 5 brought out LiLi Tan, Aye, a friend and Wouter Van der Stichel (first right) to the grand opening of the works of Cornelis Hoek. 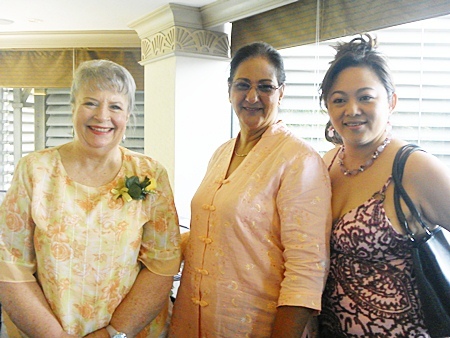 Organizer of the Ladies Lunch Bunch Margaret Bhadungzong is joined by Vanitha Sethi of Fashion King and June Unland for the lunch buffet at the Holiday Inn on Wednesday, June 8, 2011. 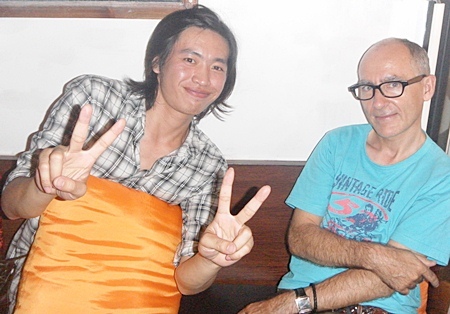 Ronnakit “Noi” N-Kham joins Olivier Faucherent at Sangdee Gallery at Sirimangkalajarn Soi 5, on Wednesday, June 8, 2011 for the weekly Wednesday night music nights featuring well known singer Ong-ard Kanchanaisak. 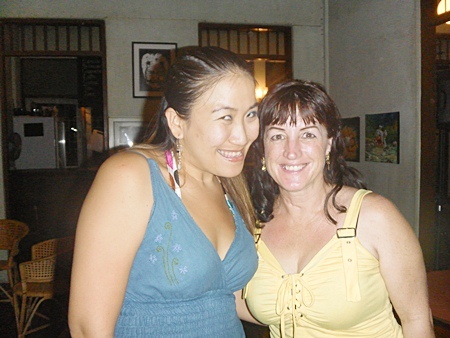 Utsanee “Aey” Sripet of the Flight of the Gibbons joins Randi Egan of Miguel’s in Nong Hoi for a night of salsa dancing at the 2nd Floor Gallery on the corner of Ratwithi and Ratchapakinai Rds. The salsa dancing runs every Wednesday night from 8 p.m.
Wachara Tantranont (center)was recently appointed Senator for Chiang Mai Province and celebrated the event with friends and associates at the Furama Hotel. 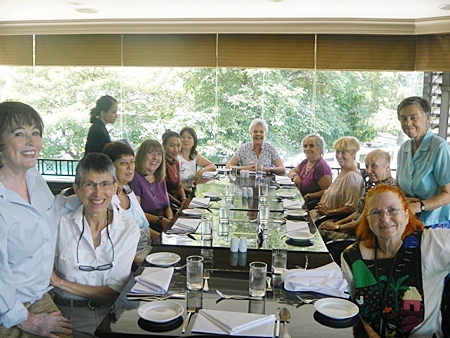 Friends and family gathered at the house of June Unland to celebrate her birthday on June 4. 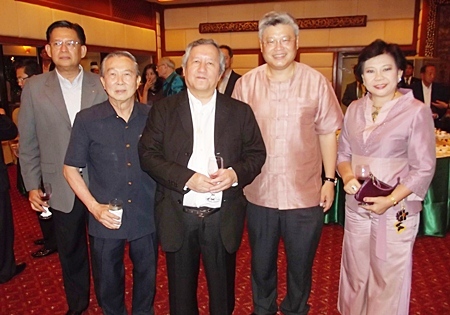 Despite the heavy rains, many friends showed up for the dinner and later moved on to other venues to go dancing. Boy of Boys Blues Bar and his daughter, joined well known resident Ana Gracey at her house on Sunday, June 5 for a house warming and baby shower. 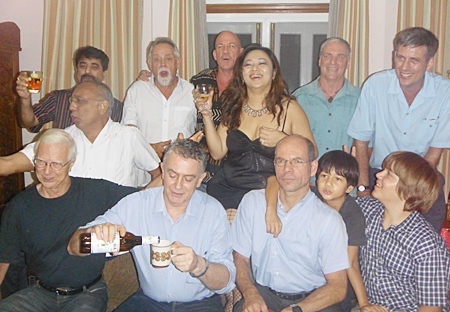 A going away dinner was held at a small Thai restaurant on Huay Kaew road for Martin Vanderklooster (right), joining him are Lili Tan, Scott Taylor of Soho Bar and other friends.